Every day mobile bankers lose huge chunks of productive time simply because they don’t have a functional space to work from, effectively limiting how much they can get out of their day. Cars were designed to keep drivers and passengers comfortable and safe while on the road, rather than being functional workspaces for bankers. It’s hard to focus on your admin, or take decent notes from your phone call when there is a steering wheel in your face. From a productivity perspective, the cards are stacked against mobile bankers from the moment they get behind the wheel each morning. The Reach Desk will help mobile bankers increase productivity and get through a mountain of work every day. You know all that admin that piles up at the end of the workday? It’s gone, because now you can get across that admin straight after meetings when it is fresh in your mind - right from the mobile office inside your car. Now after each appointment you can comfortably write up your notes, organise paper documents, and do all the admin you need to, rather than letting it pile up to take home at the end of the day when you are tired, forgetful, and not performing at your peak. I'm Owen Wade, founder of Working Mobile. No one knows the frustration of working from a car better than me. 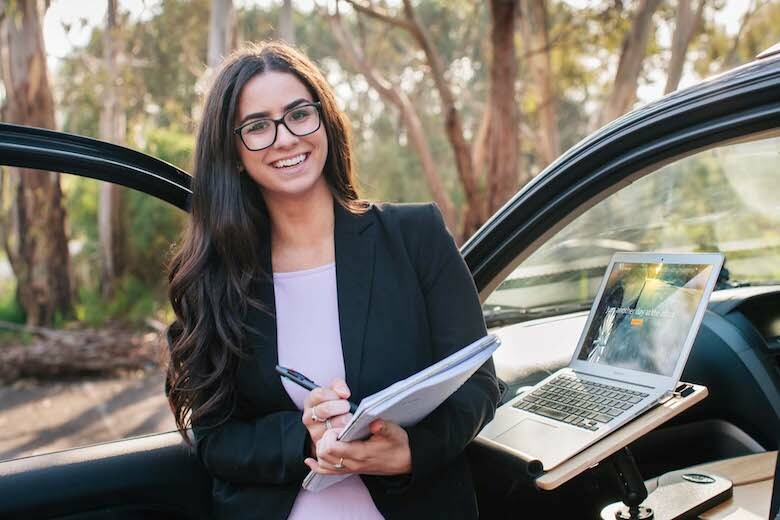 As a project manager in the construction industry I spent huge chunks of my day in the car, driving across Melbourne from meeting to meeting at the different sites I was managing. My job was stressful and the hours were long, and I am the kind of person who is geared to maximise efficiency. And like banking, construction is still a paper-centric industry, so I always seem to have piles of contracts and documents on my passenger seat. At the end of each day my brain was fried, but I still had mountains of paperwork and admin to do when I got home at night. So I’d have a bite to eat, say hi to the kids, and power through my work well into the night. I kept thinking of all the dead time I’d wasted during the day that I could have used more efficiently if only I had a better workspace in my car. That twenty minutes between meetings here and there always seemed to go to waste because there was no way to get a proper desk setup happening on the road. Even worse was the mess. My papers would be stacked up on the passenger seat and if I ever had to brake suddenly everything would slide into the footwell, leaving me flustered and disorganised for my next meeting. And if the kids ever got into the car too, well, that was a disaster. My work papers would end up with muddy footprints on them, or get crushed under a schoolbag. I became determined to find a way to keep my car organised so I could work with the same degree of efficiency as I did on my days in the office. Finally I found a designer in the US who had been making a product for left hand drive cars. But the products weren’t available for right hand drive countries like Australia. 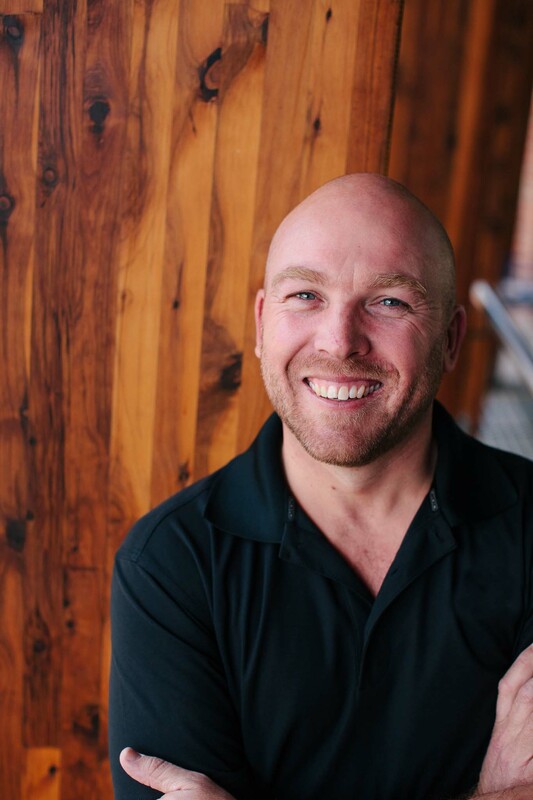 So I worked with them to develop a model for Australian markets and founded WorkingMobile.com.au, to ensure that Australian mobile bankers, sales reps and construction professionals like me, also had access to an unfair advantage each day. Easily move the desk to a different car by unbuckling the seatbelt, or store it in the car boot at the end of the day. Remember, you have a 10 days to test drive the Reach Desk and if you don’t like it, send it back for a full 100% refund if the item and packaging are in saleable condition. Need a power source on the road? 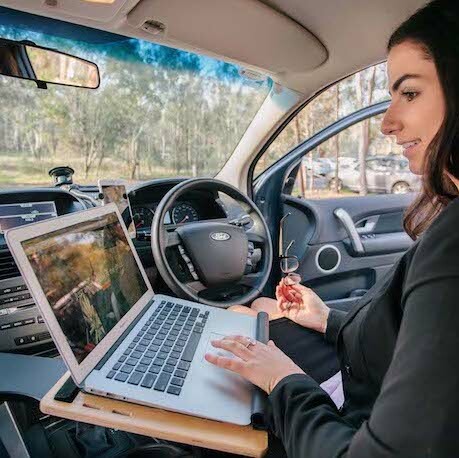 Install an optional 300W power inverter so you can plug into a standard three-prong Australian powerpoint right in your car - great for printers, document shredders, and laptop chargers. Can I use this in the back seat? Yes, it fits the back seat if you’d like to spread out in a bigger work area. It fits in passenger seats of all cars. We’ve tested everything from an MX-5 to a Ford Territory, and it was fine in everything in between. Sure you can. We offer wholesale rates for banks who want to kit out their fleets. Contact me at owen@workingmobile.com.au for more information. Can I use it as a standing desk? These desks look amazing! Can I sell them myself? Absolutely! We offer a generous affiliate program for people who would like to refer others to the car desk. You can make some cash on the side by telling your friends and colleagues about our car desks. In an accident loose items, such as a laptop, can become dangerous projectiles. 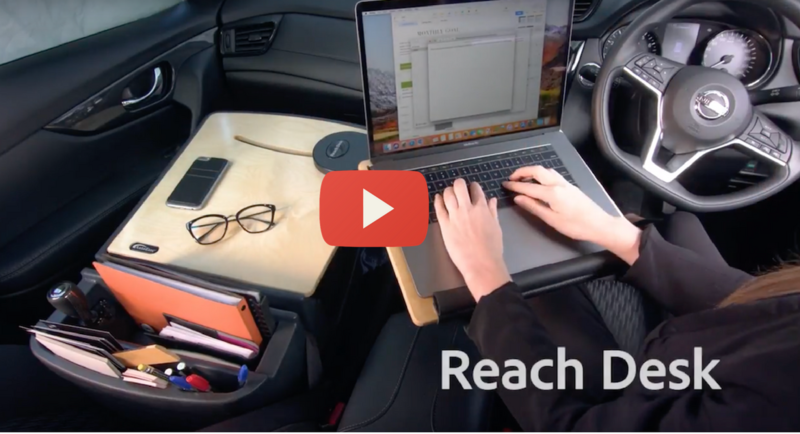 The Reach Desk enables you to secure these items in the compartment beneath the desk, ensuring they are more secure in the event of an accident and also hidden from prying eyes when you're away from the car. The desk itself is secured with the car’s own seatbelt, which has its own locking mechanism that kicks in to keep everything in place if you brake suddenly. These car desks have been giving bankers in the US and Europe a competitive edge for years. Our customers say the best thing about our range of car desks is the increased level of organisation and extra efficiency it brings to their day. The biggest benefit of using the car desk is doing the work as it’s done instead of deciphering notes at day end. Now I can keep all my work papers, brochures and files in the one spot. Not on the floor. I feel much more organised with my sales binders and flyers. I can hide my purse or laptop underneath the non slip table. I love this desk. It has made all the difference while on the road. The desk is well made with high quality plastics with a two-tone gray color which is attractive and the construction is top quality. ..There is a big second compartment to hide the laptop if you get out of your car and there are smaller additional compartments for pens, pencils, accessories and a wide slot for hanging standard size hanging file folders… This is an outstanding product. I highly recommend it. 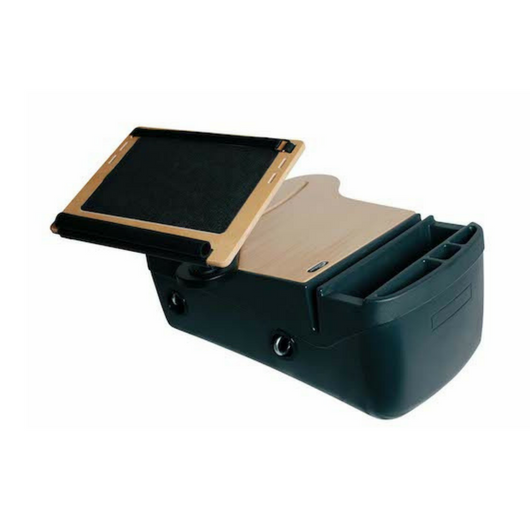 This is my second one of these car desks and it is a must have for any traveling salesperson. Very sturdy construction with plenty of storage for files and price books. It is secured with the seat belt and can be very easily removed and put in the back seat if you have a passenger. Very nice and built like a tank heavy, strong, quality construction etc. Can not find one bad thing, just place it on the passenger seat and fasten the seat belt… Great product recommend to anyone who needs to travel for work and the best part is that you can transfer it to a rental car in seconds. After a career in working from my car, I thought I should finally get something to get better organized. This fits perfectly in my passenger seat and I can easily lift it out and move from vehicle to vehicle as needed. I work from my vehicle and travel to multiple locations each day. This desk provides me a mobile office and eliminates my need to find a coffee shop to shoot out emails or do a little paperwork. 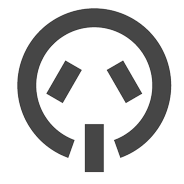 I enjoy it very much and would recommend it to anyone who finds themselves working mobily. It has made life of working from the car so much easier.. it's also light weight so it's easy to remove from the car when needed.. LOVE IT and highly recommend!